In a few months from now, clubs will swing into the market to see how they can strengthen their squad by acquiring new players. Arsenal are not left out of this as it is so obvious that they will be needing to add a number of names if they are to be seen as serious title contenders. In view of this, David Ornstein, the man trusted by many fans when it comes to Arsenal transfer matters, has given some positive hint on how the summer will go. 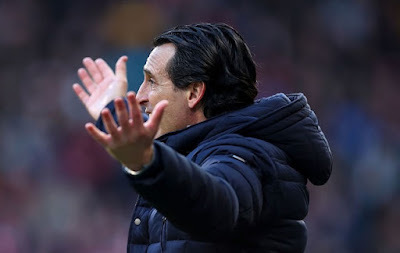 The BBC journalist while on Sky Sports Premier League Today stated that Unai Emery will be looking to make at least five signings. He highlighted an Aaron Ramsey replacement as one of the main recruitments to be made. The Wales international will be heading to Juventus at the end of the season and a box-to-box midfielder will be wanted. A goalkeeper to fill in the void that would be left by Petr Cech, a right-back to support Hector Bellerin, left-back and winger are other players that could come in. "They’re definitely looking for a box-to-box midfielder to replace Aaron Ramsey", Orstein said on his guest appearance on Sky Sports Premier Today on Tuesday night. "They’re still in the hunt for a winger. They may be looking for a full-back to cover Hector Bellerin, and of course, Stephan Lichtsteiner was only signed on a one-year contract. "They have been linked with left-backs as well. So there’s going to be a heavy period of recruitment ahead potentially at Arsenal. They need to bring in a goalkeeper for Petr Cech." With speculations that only £50 million has been given to Emery for transfer activities for the coming window, one would begin to wonder how he is going to get the funds to fill the positions listed earlier. Sale of players will help but what would be realised wouldn't be sufficient for the Spanish boss especially now that high price tags are placed on players.